What is eating the cowpea? After seeing the leaves with holes and then leaves missing, I finally spotted the culprit. 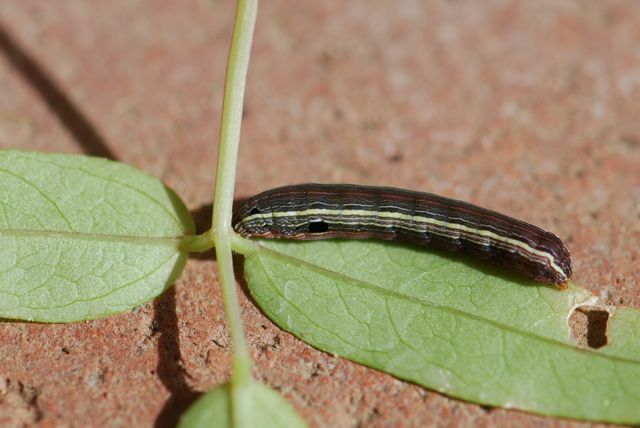 Looks like some sort of armyworm, genus Spodoptera. 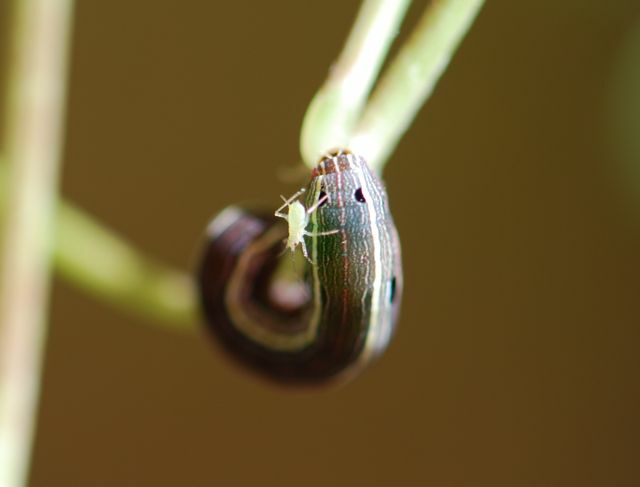 Almost looks like this aphid is curious about it, too. Curious, or telling it get off of its plant! Looks like that, doesn't it?